Once the port to load emery, today a picturesque and quite resort with beautiful sand. Moutsouna is a successive row of sandy coves and it is a very quiet resort. Moutsouna is historically connected with emery (a dark granular rock comprising corundum, magnetite and other minerals, referred to as “smyrigli” on the island), as the mineral was to brought down to the port from the mountain mines by a rope funicular and loaded onto ships. 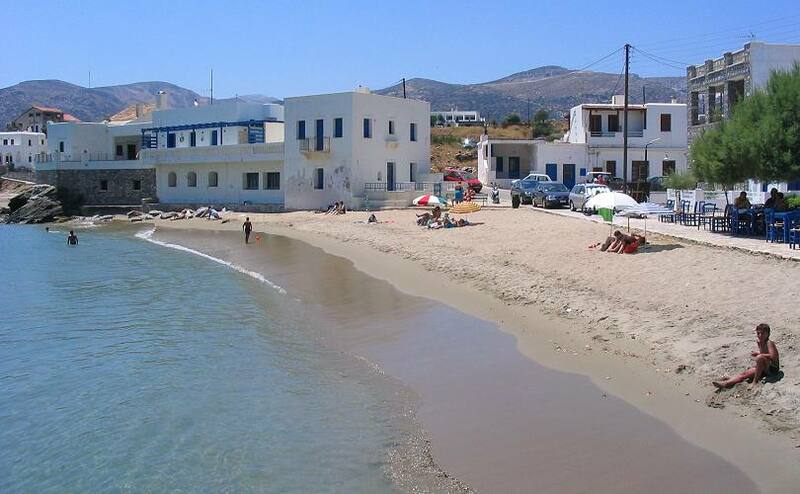 South of Moutsouna is Psili Ammos beach and further south (about 24 Km) where the road ends is Panermos Bay with sand and well protected from north winds. Nearest village is Apeiranthos. 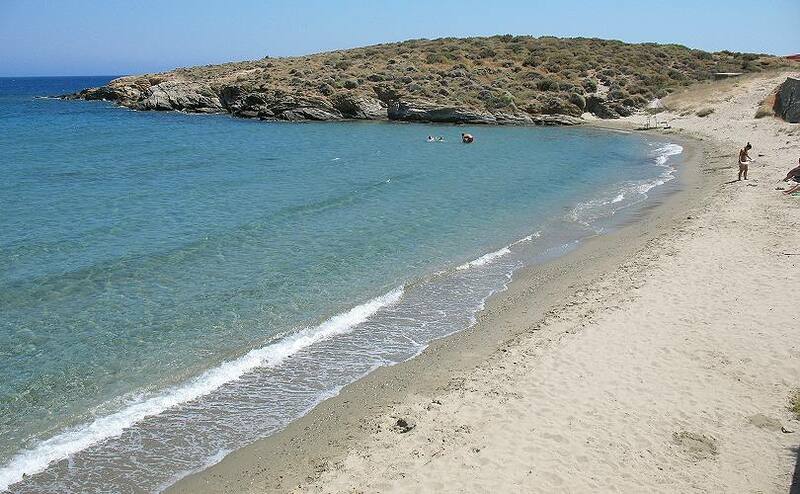 Just before Apeiranthos village (28 km from Naxos Town), follow the signs to Moutsouna (11Km from Apeiranthos). 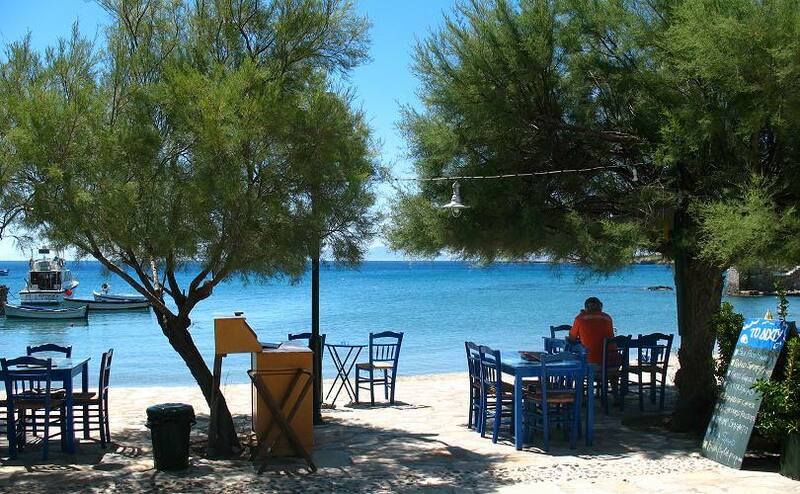 Moutsouna can be the starting point to discover the east coast beaches. 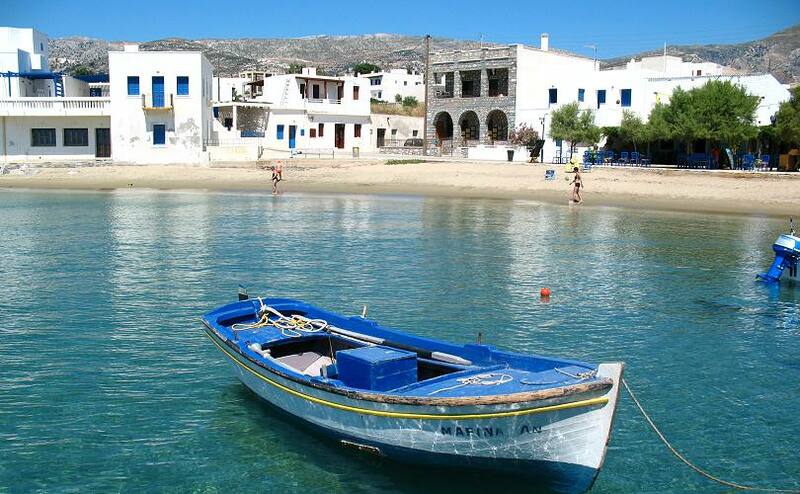 Psili Ammos and Panermos are quiet and beautiful.